Scoping out healthy eating spots while traveling via train, plane, or automobile can be a road block in itself at times. Marci Zaroff, author of ECORENAISSANCE, dishes on where to find plant-based food while traveling. If you’re still new to a veg-friendly lifestyle, traveling can seem like a roadblock to healthy, conscious living. Airports and train stations don’t exactly have reputations as holistic health centers. And while you’ve probably found—or will find—that plant-based eating is incredibly affordable, intuitive, and enjoyable when you’re in your kitchen or at your favorite local restaurant, traveling can throw a potential wrench into your routine. However, in the past few years, I’ve been amazed to witness how much easier it’s become, as so many people have been drawn to this movement. When I became a vegetarian at age sixteen, it was almost impossible. But now, plant-based eating seems to have spread almost everywhere. In fact, as I write this book, my daughter is traveling throughout Southeast Asia and is thrilled at how easy it has been for her to discover and dine at vegan restaurants. And for as long as I’ve been vegetarian, I have been thrilled by the growing networks and communities that have been built around this creative, empowering, and conscious lifestyle. For airports, train stations, road trips, etc. Look for health-conscious chains such as SweetGreen, Veggie Grill, Cava Mezze, Lyfe Kitchen, Freshii, or CIBO. 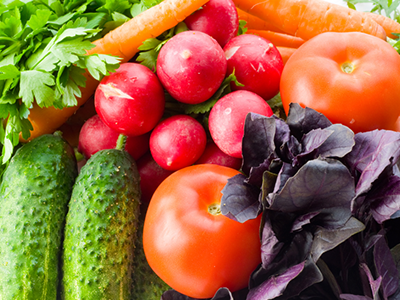 International restaurants such as Le Pain Quotidien, Au Bon Pain, Panera Bread, Pret A Manger, and Chipotle have expanded their plant-based menus, responding to a growing demand. Even pizza chains such as Domino’s, MOD Pizza, Pieology, and Mellow Mushroom offer vegan options. If you’re looking for a meal out on the town, happycow.com is one of my favorite resources for discovering the local herbivore scene. In addition, browsing vegan travel blogs is a great way to get the scoop on vegan and vegetarian restaurants wherever you go. Check out vegantravel.com, thenomadicvegan.com, and veganmiam.com. 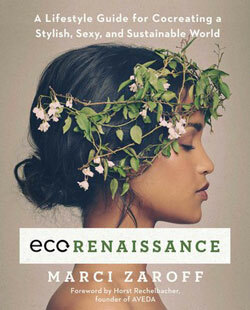 For more advice on where to find plant-based food while traveling, check out ECORENAISSANCE by Marci Zaroff. Excerpted from ECOrenaissance by Marci Zaroff. Copyright © 2018 by Marci Zaroff Sustainable Brands, LLC. Used by permission of the publisher. All rights reserved. 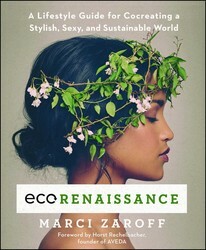 In ECOrenaissance, renowned visionary Marci Zaroff provides a comprehensive guide to help you embrace sustainable living as both a celebration of style and a necessary strategy for maintaining our everyday comforts despite increasingly limited resources.